Optimization problems such as inverse dynamics and parameter identification problems are solved in FreeDyn by using the adjoint method. Although, the equations and matrices included show a complicated structure, the additional effort when combining the standard forward solver to the adjoint backward solver, is kept in limits. 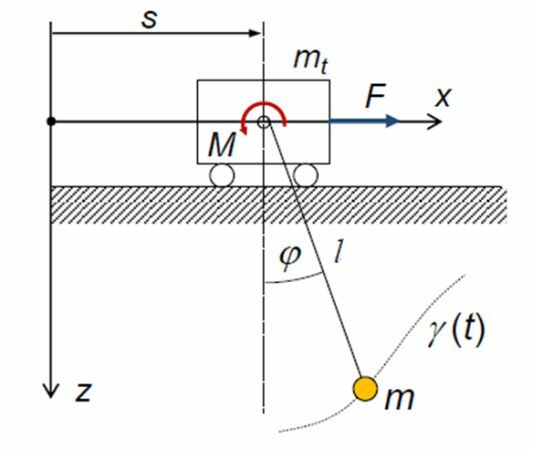 The adjoint method shows an efficient way to incorporate inverse dynamics to engineering multibody applications, e.g., trajectory tracking or parameter identification in the field of robotics. A simple example of a rigidly modeled crane trolley presents the application of the adjoint method for parameter identification in multibody dynamics.